Coffee Bourbon Milkshake: Quite possibly the best milkshake you will ever have! I suppose it is possible that I will have a better milkshake at some point in my life. But up to this point, this is easily the best milkshake I have ever had. 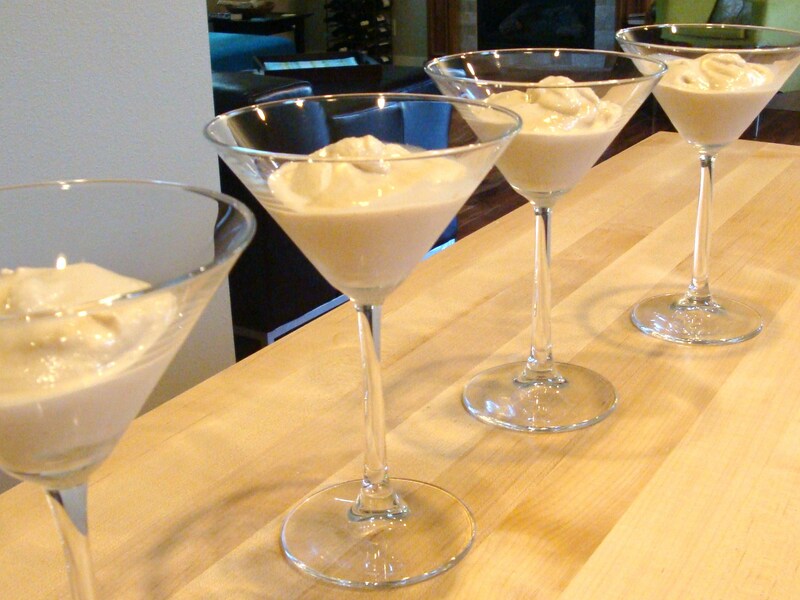 Blend in a blender, food processor, or with a hand mixer until very well blended and creamy. At this point, it will be pretty runny. Return it to the freezer, and allow to cool for several hours or longer if possible. If you are very impatient, you can drink it any time. 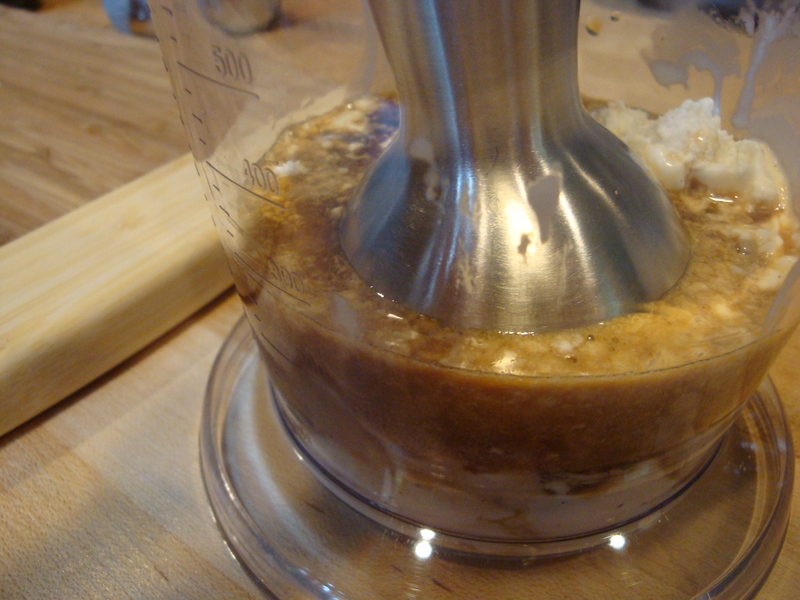 But if you make it in advance and allow it to cool, it will reach the consistency of a soft serve ice cream. Because of the alcohol, it will not freeze too firm, it will maintain this consistency. I served this milkshake at the get-together with fellow bloggers Evelyn, Poppy, and Krista. And I know I heard the words “this is the best milkshake I’ve ever had”. I mixed this up a day in advance and was very happy with the result. If you like thick, creamy milkshakes, and if you like coffee… you know what to do. Categories: Food, Recipes | Tags: Bourbon, coffee, Food, ice-cream, milkshake, recipe | Permalink. This looks amazing!!! And it seems like it might be a perfectly acceptable breakfast…? thanks. They are seriously amazing! And funny you should mention breakfast…. It does have coffee! I was thinking it might be fun to work this into a special weekend brunch menu. So yes, breakfast is served! I’ll take two! Seriously, though. I had decided that the coffee bourbon was going to be the first infusion I tried…. you just gave me another reason to get moving on it! Yay! You should definitely start an infusion! You will LOVE this. Coffee beans are now at the top of my my shopping list! keep on creating…. Ha ha! Good! It looks like all of the guests that tasted this agree that this was the best milkshake they’ve ever had… so you won’t be sorry! This IS ABSOLUTELY POSITIVELY the bet milkshake I’ve ever had. I am making the coffee bourbon with the sole purpose of recreating this milk shake. In the meantime, I’ll just relive Sunday’s delight! Thanks Evelyn! With how good the milkshake is, I think I’m going to have to make a much bigger batch of the coffee bourbon myself as well! I’m so sad that 10:30 AM is too early for one of these. But it has coffee! That must count for something, right? I think it would be great for a weekend brunch or something (so 10:30 is ok, right!) Yes, coffee definitely makes it more of an a.m. necessity. That is awesome! Let me know what you think of it. I think the cherry bourbon could also make for some fun brunch drinks. Does the quality of the bourbon before infusing make a real difference?